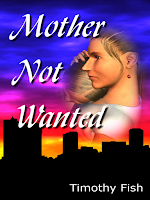 Amazon.com now has Mother Not Wanted available for sale. It is listed at $11.99, which is $3.00 off of the cover price. I don't know if you'll be able to get them in time for Christmas, since it is so close upon us, but I do hope you will purchase one for yourself.